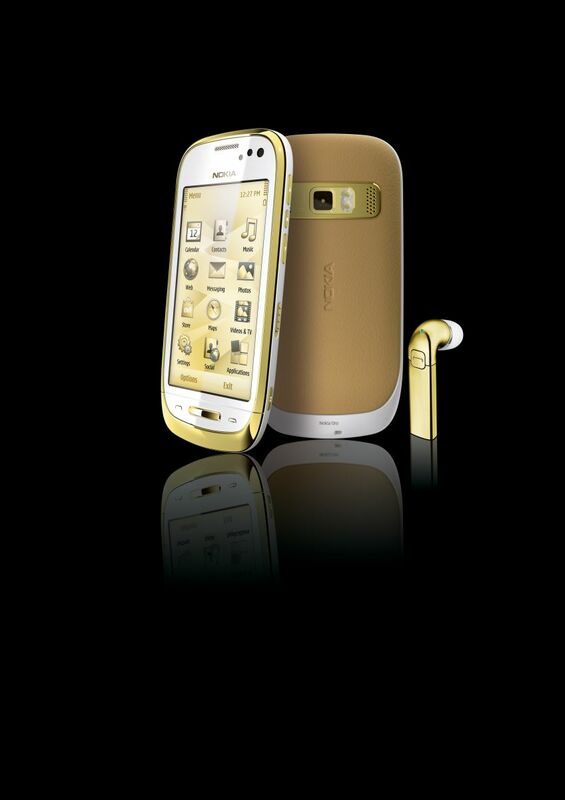 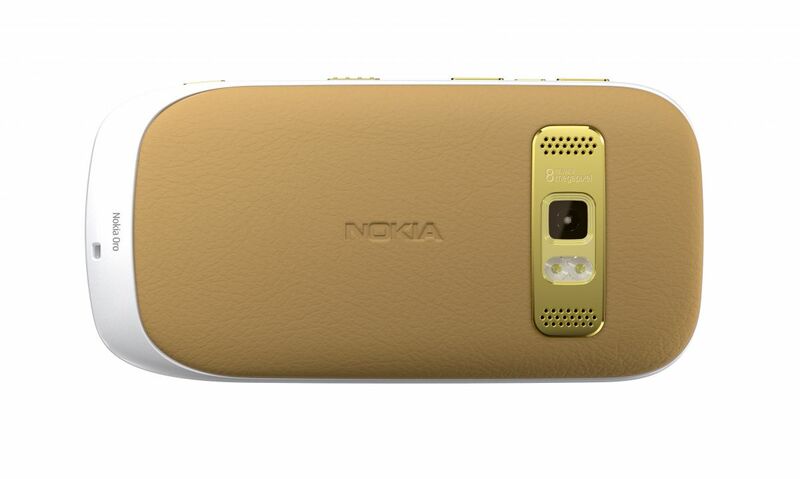 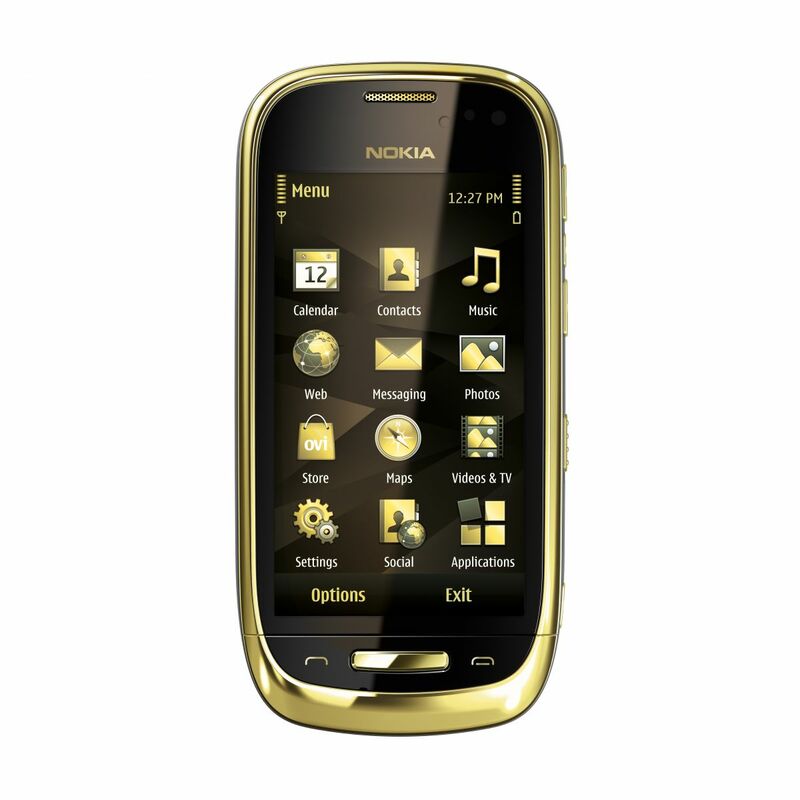 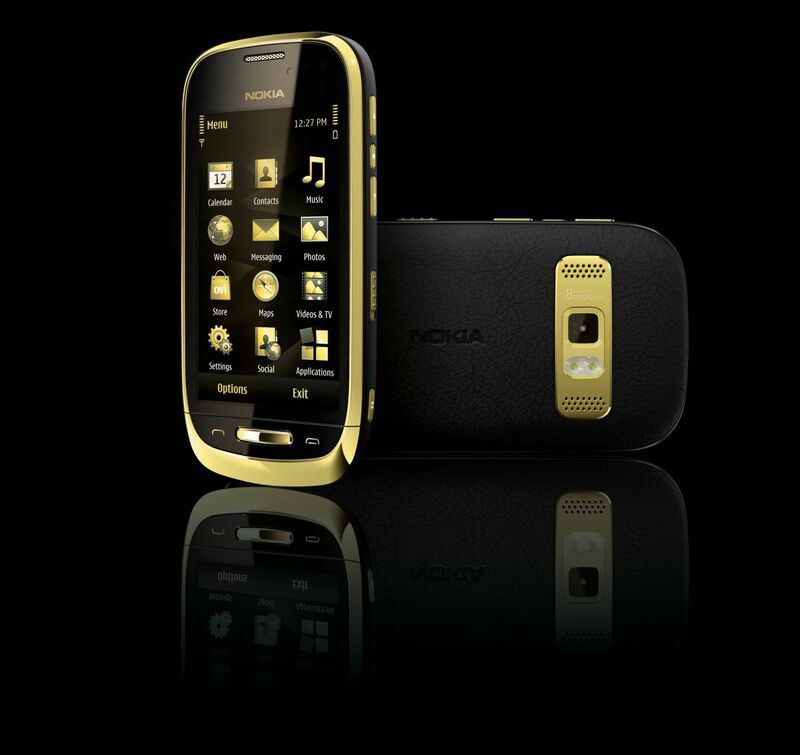 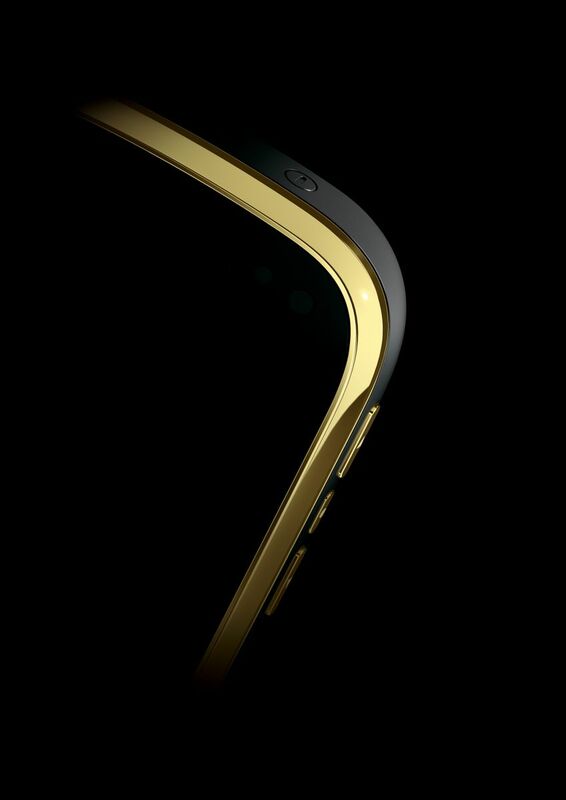 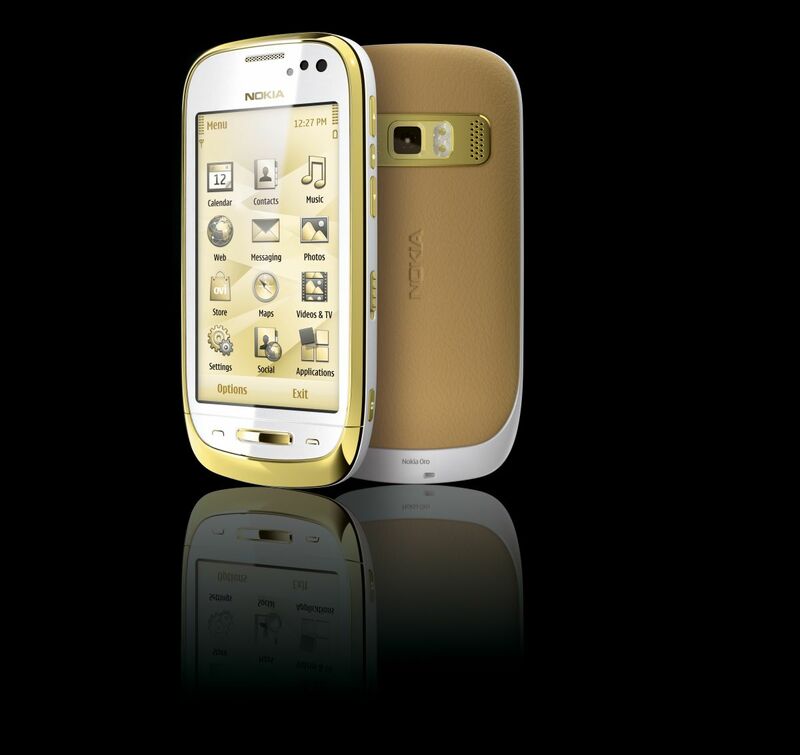 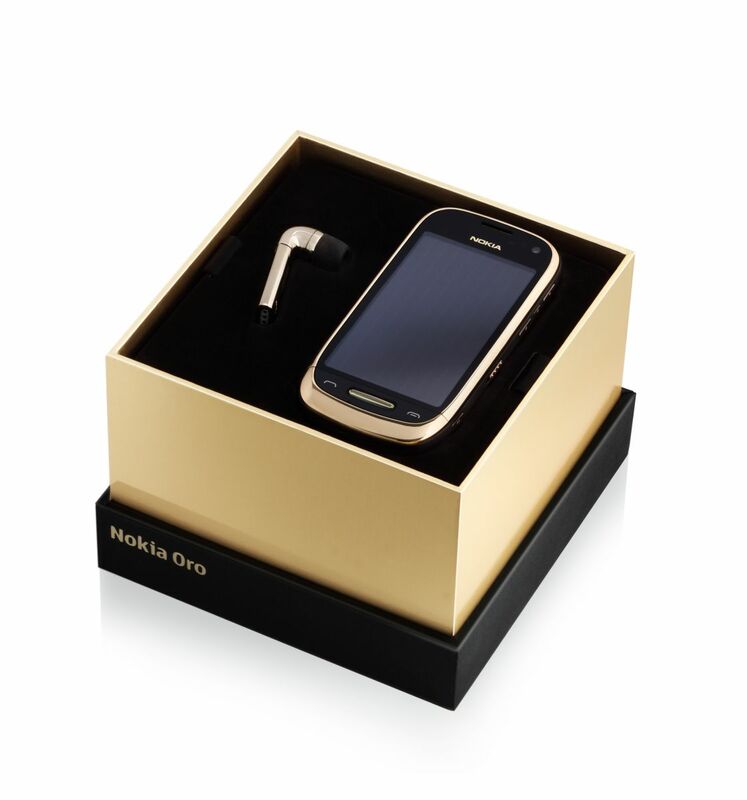 The new limited edition phone is actually a copy of the Nokia C7 model, but crafted with a selection of exquisite materials for its exterior and comes bundled with Nokia J Bluetooth headset, perfectly matched to the device with 18 carat gold plating. 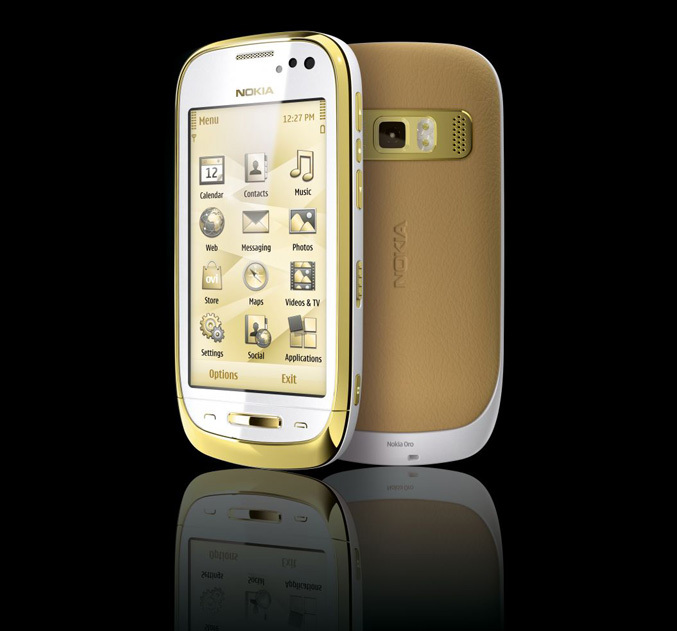 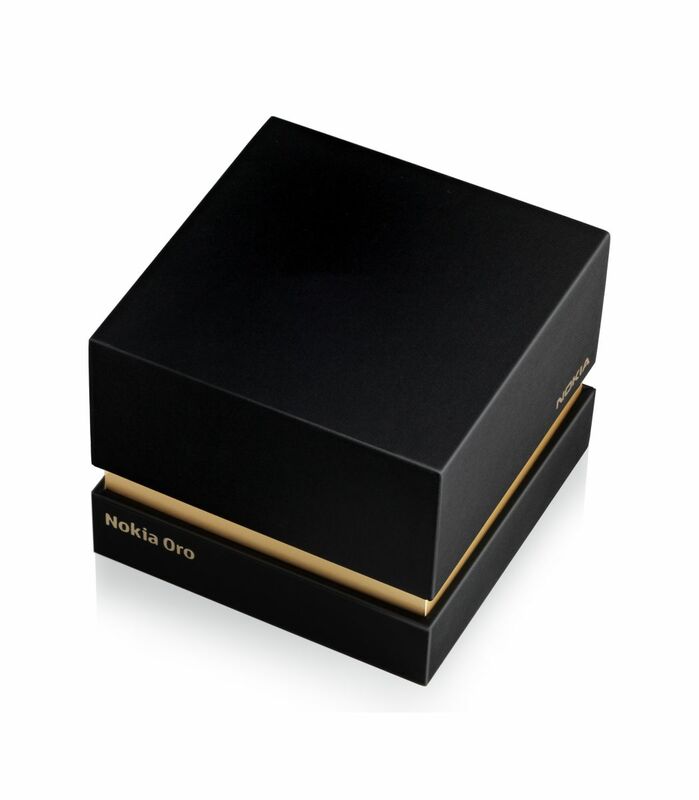 Nokia Oro measures 117.3 x 57.5 x 12.2 mm and weighting 132 g. The frame around the front panel is 18-carat gold plated, the home button is covered by real sapphire crystal, which is eight times sturdier than glass and the back panel is covered by premium Scottish leather. 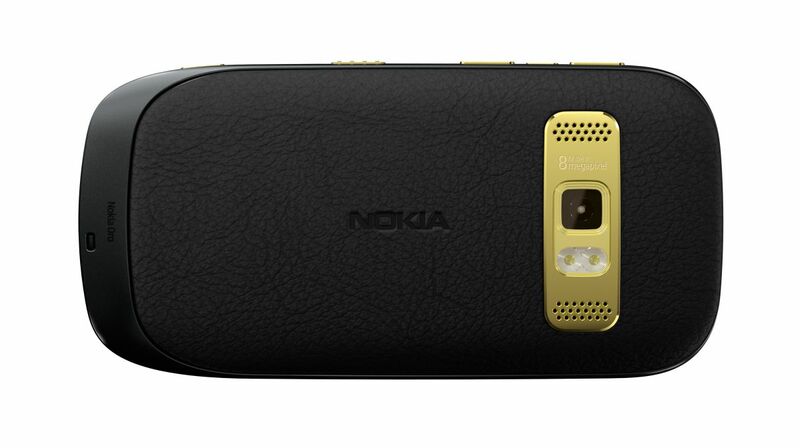 The phone is equipped with 3.5-inch AMOLED capacitive touchscreen display with 360 x 640 pixels resolution, an 8-megapixel camera with 720p video recording and all features and extras like other recent smartphones from Nokia – 3G with HSDPA, GPS, Wi-Fi, Bluetooth and so on. 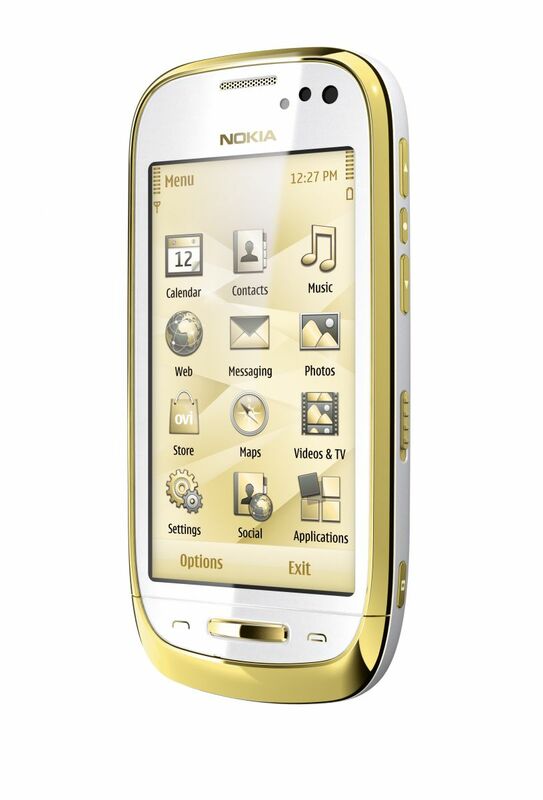 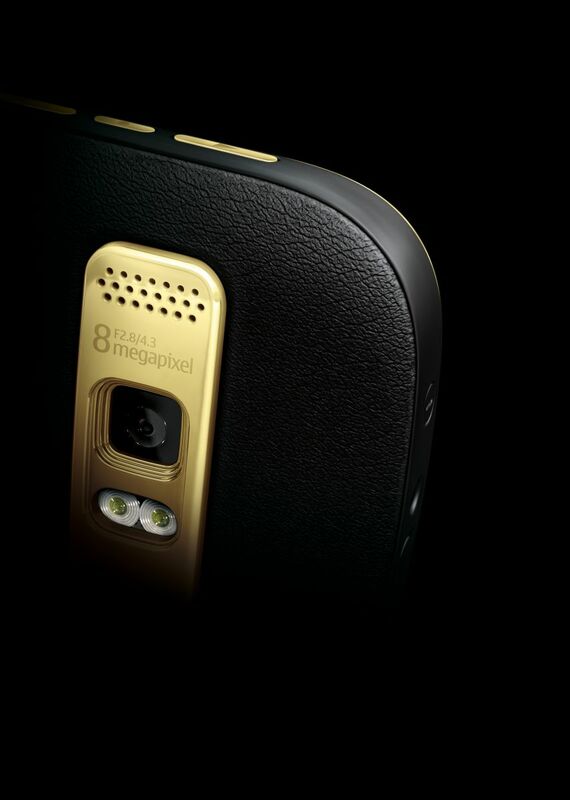 It comes with the latest Symbian Anna update and will go on sale in Europe, Eastern Europe, China and the Middle east in Q3, priced at €800.